Have you heard? The FDA recently passed new regulations for the design of the nutrition labels starting in 2018 (or 2019 for small food manufacturers). Although the changes might seem like they’re far off, they’re not. 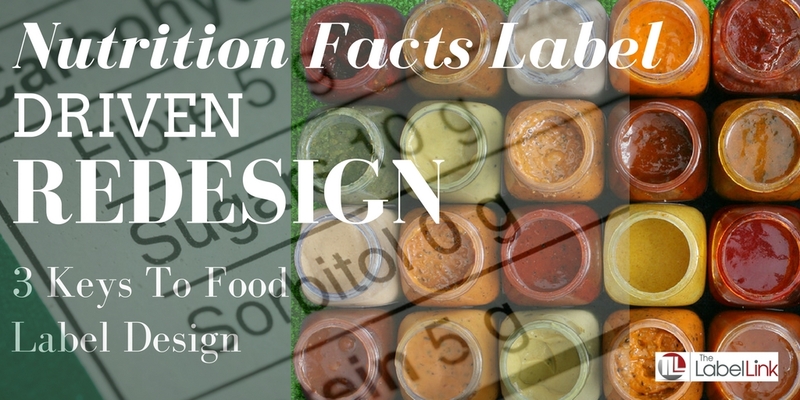 A lot has to be done to accommodate the FDA’s recent changes to the nutrition labels and if you’re not being proactive, you could be caught in a label redesign nightmare. 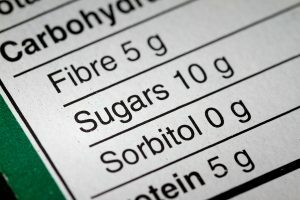 Under the new label requirements, food manufacturers are going to have to change serving sizes, font sizes, bold certain areas to highlight specific nutritional information, and in some cases, add an extra column. All of this boils down to one core change: You’re going to lose valuable real estate on your food label design. Food manufacturers are already struggling to get their sales messages seen and heard above all of the mandatory label additions. With these new changes going into effect in a few quick months, you’re going to have to start planning your label redesign sooner rather than later. Although it’s a hassle, there are certain things you can do to reclaim some of the real estate on your food label while still adhering to the FDA’s rules. This is perhaps the most daunting of all the options, but it could be the most beneficial. If the new label requirements have you resizing and squeezing your sales message a little too tightly, you might want to consider this your opportunity to start from scratch. A new label layout isn’t something that happens overnight. You’ll need to put together focus groups or ways to get consumer feedback. There’s a lot that goes into redesigning your label’s layout. It’s exciting, but it also takes time to do it right. You need to get started now. You will likely go through several iterations of your new label design before it goes to print. Plan plenty of time to work with your internal team and any outside partners so you’re not rushing the process or sacrificing quality in the design work. The earlier you start, the better the outcome. How large of an area is your label taking up on your product now? Sometimes, food manufacturers can increase the amount of space the label is taking up on the container. If that’s the case with your products, adhering to the new label requirements might simply mean adding a few centimeters to the width of your label. Keep in mind that this is not a quick, surefire solution. You’ll still want to get started early expanding your label’s design and testing the larger size. Sometimes, the larger size label can lead to unexpected problems with label adhesion, such as environmental factors that cause your label to peel when it’s closer to the edges of your container. Have you ever picked up a bottle of pain medication and had to peel back a label to view all of the warnings and usage guidelines? That tactic of peeling back labels and then resealing them can also be used on food and beverage products. If you’re strapped for space and suddenly need a dual column nutrition label, a redesign or resizing of your label might not be enough to adhere to these new guidelines. Consider using a resealable label. These labels have two layers. Once opened, the label increases in size, letting you fit more of the required information underneath your sales message. The label then will reseal shut so your consumers don’t have to see it until and unless they want to. Question: How soon will you start on your food label updates now that the FDA has passed their new nutrition label requirements? We cannot emphasize it enough. The sooner you start, the better your new label will turn out. This could present an opportunity to redesign in a way that actually increases your sales figures and moves more products off the shelves, if it’s done right. Starting now will give you the time you need to test, tweak, and decide the best way to move forward for your product line. If you need a bit more design help, be sure to download our 6 Graphic Design Tips That Will Save You Money Guide now. You can be on your way to beautiful and compliant labeling in no time.